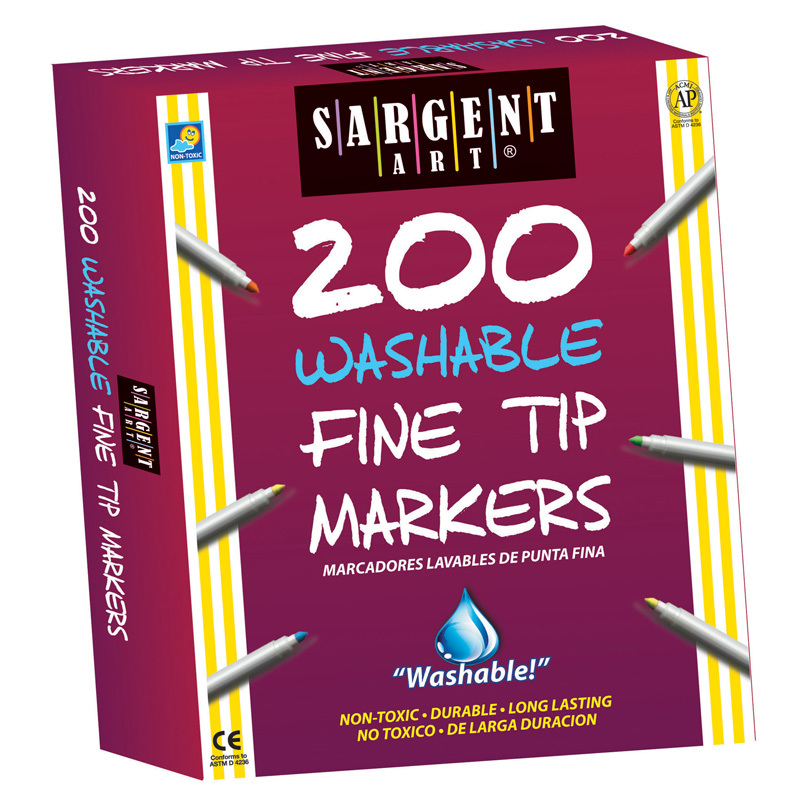 Washable Markers feature water-based, superior pigment and color, with a quality fine conical felt tip and vented cap. Non-toxic and long-lasting. Conforms to ASTM D 4236. 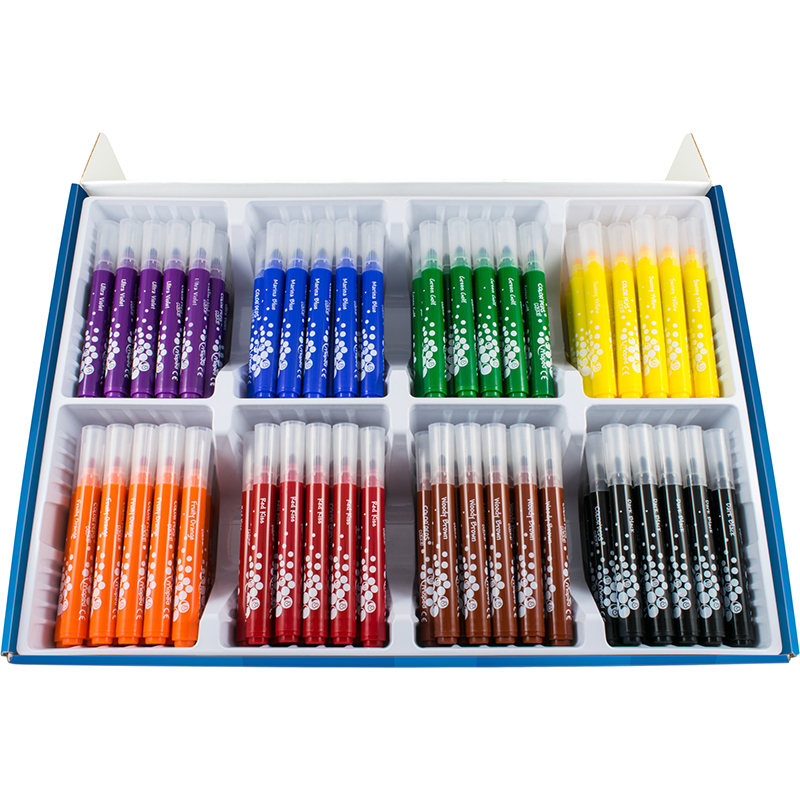 Markers are packaged in a sturdy box, making distribution and storage easy. 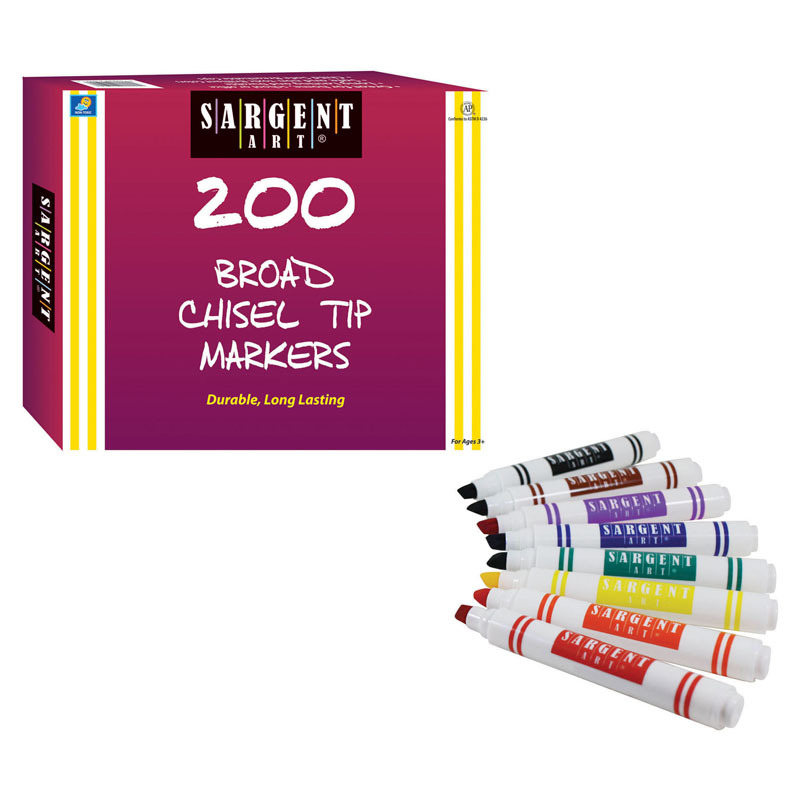 Each pack includes 200 markers, 25 each of the following colors: red, orange, yellow, green, blue, violet, brown, and black. 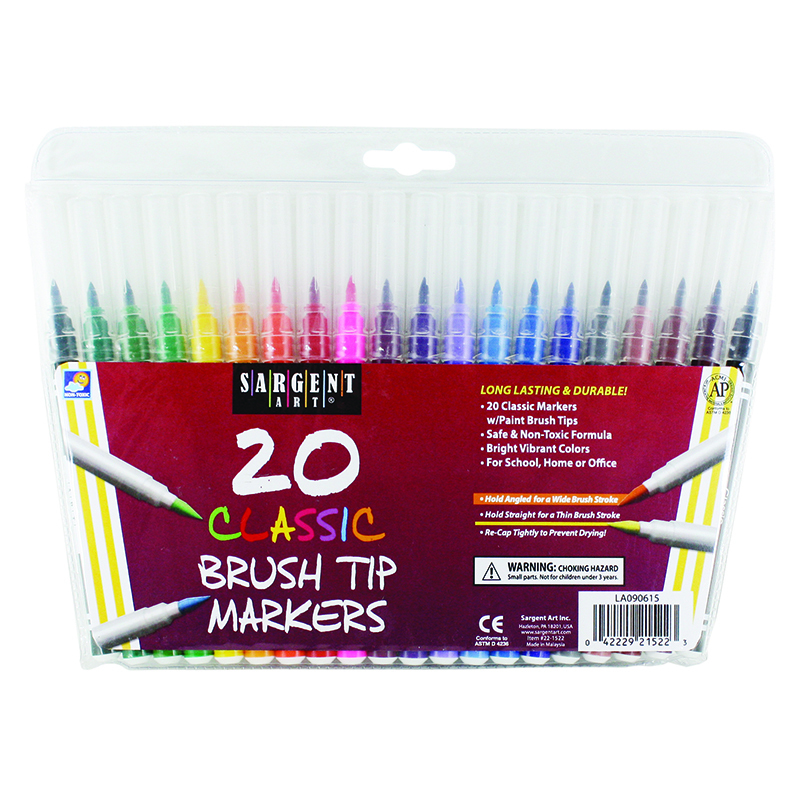 The Sargent Art Best Buy Washablemarker Assortment Fine Tip can be found in our Markers product category within the Arts & Crafts. 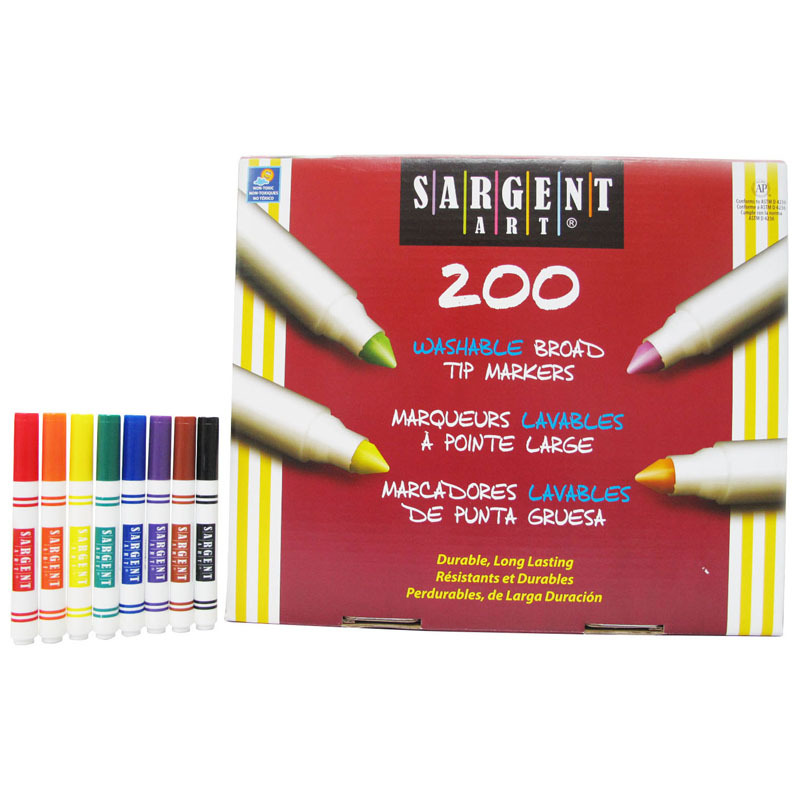 Use these bright non-toxic markers for all your artistic creations. Features 25 of red, orange, yellow, green, blue, violet, brown, & black. Sturdy box makes distribution and storage easy.